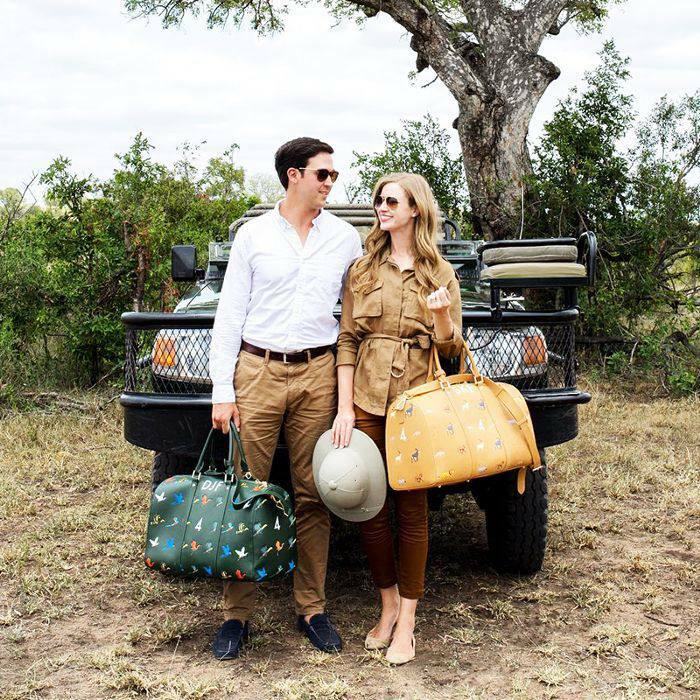 We're going to say something you probably already think about too much: You're not traveling enough. And we're not talking about quitting your job and jet-setting around the world, although it's a fun idea. We're not even considering the standard two-week vacation, although you should definitely take advantage of that. We're focusing on the easy weekend trips you could be doing every now and then, whether it's an overnight stay at a nearby hotel or a quick trip to a picturesque place up the road. Short vacations help you de-stress, too, and they're much easier to plan than those other getaway options. 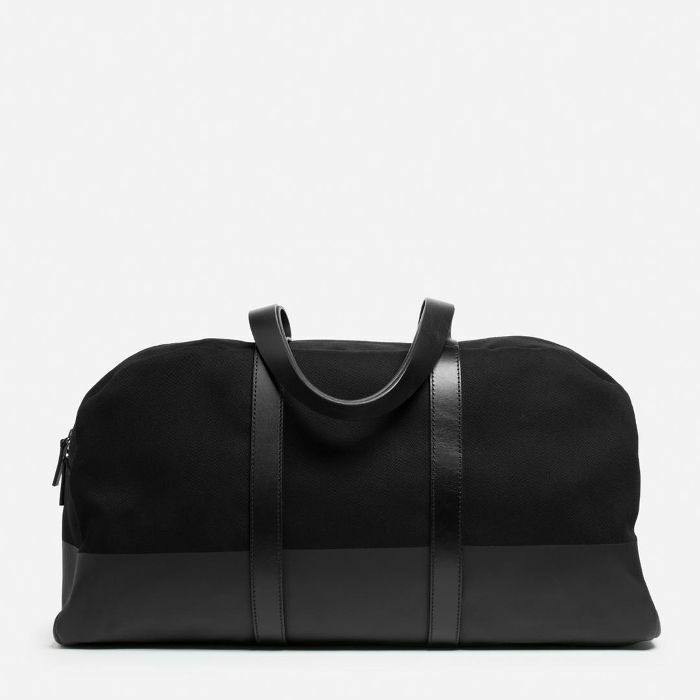 Whether you're in Los Angeles and planning to spend a weekend in Santa Barbara, you're in New York City and you want to escape to the Hudson Valley, or you're considering the endless possibilities in between, one thing you can always take with you is a sturdy duffel bag. 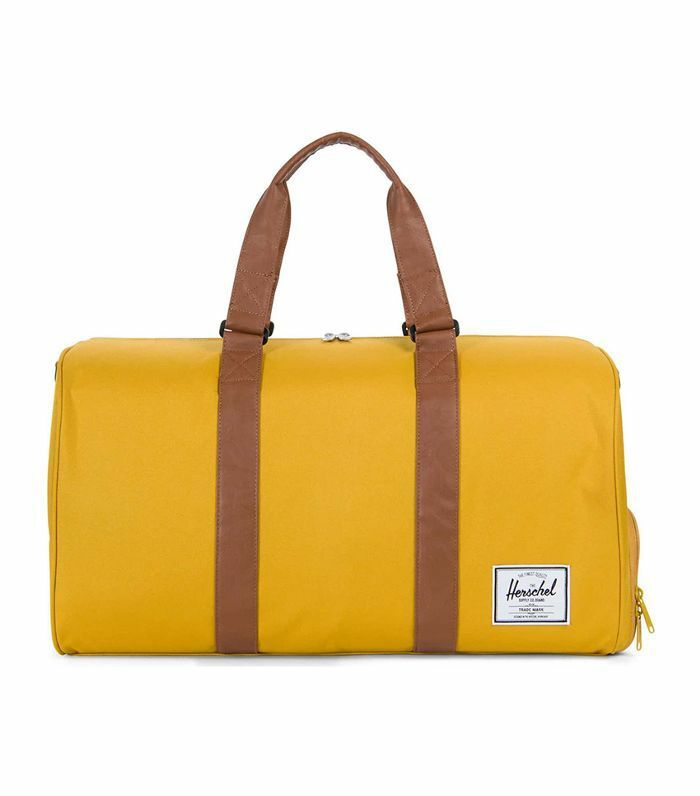 We picked the 12 best duffels we could find to encourage you to take a weekend away. 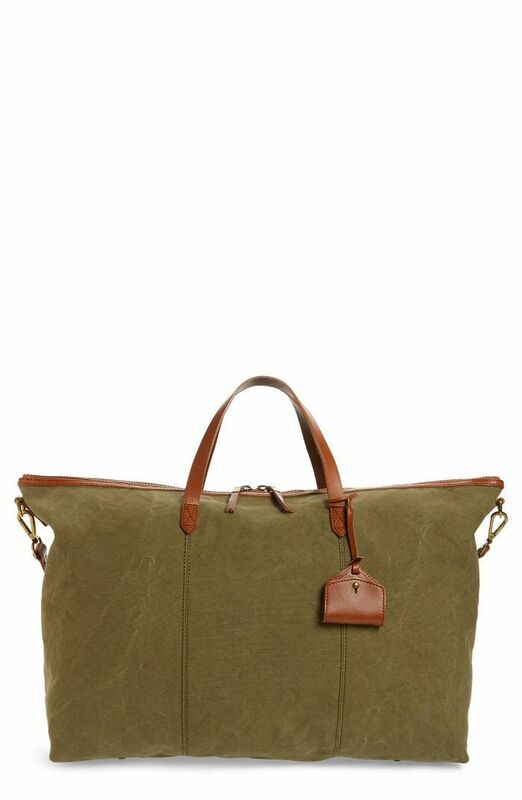 From leather and cotton exteriors to shades of bright red and earthy green, these duffels look just as good as you do after taking off for a day or two. 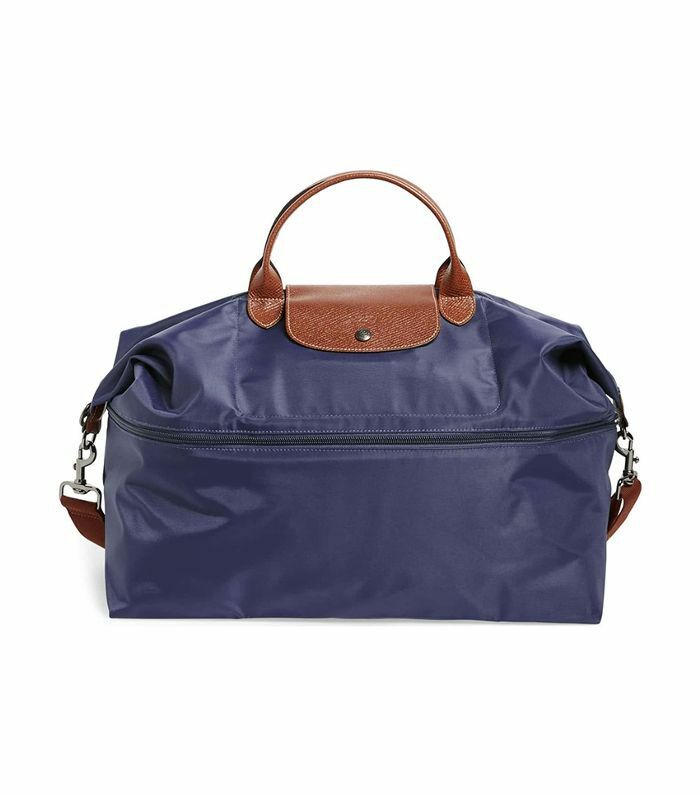 Since they have compartments for dirty shoes and toiletries, you can also stay organized while on the go. So go ahead and travel more—you don't even have to go far to do it. You'll have no problem keeping an eye on this pick from Oliver Thomas, which comes in a showstopping tomato red alongside other color options. 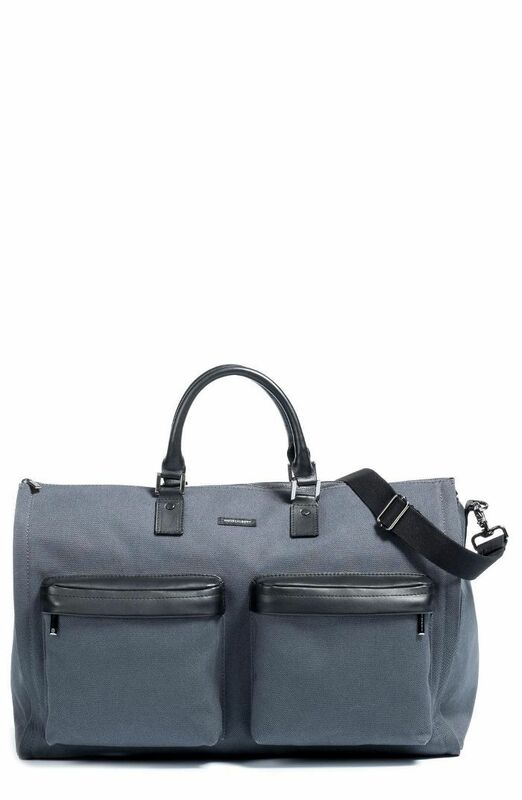 It also has a "secret stash" compartment and an extra pouch, too, so you can really maximize space. 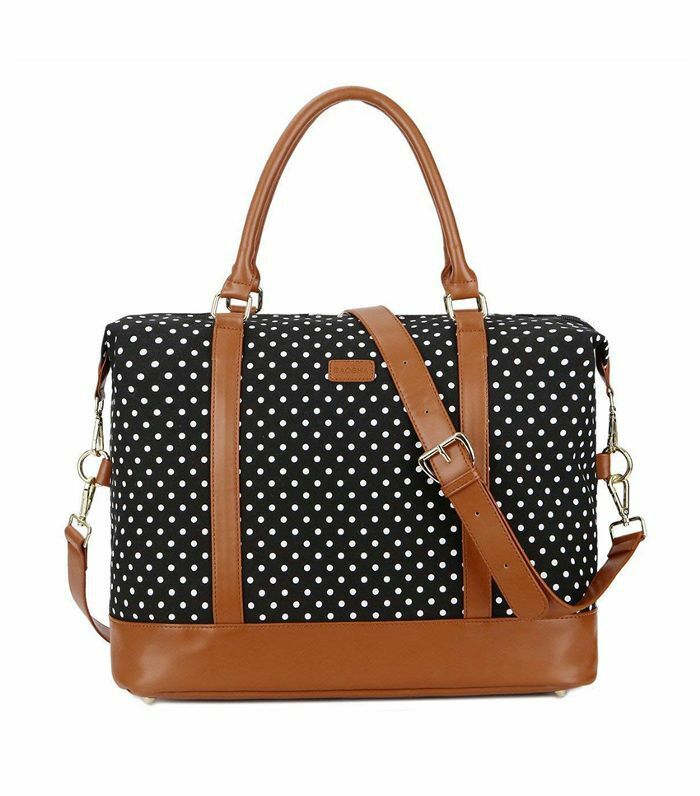 For those who can pack minimally—and are looking for a steal—this polka-dot bag with faux-leather detail from Baosha can carry enough for an overnight trip. 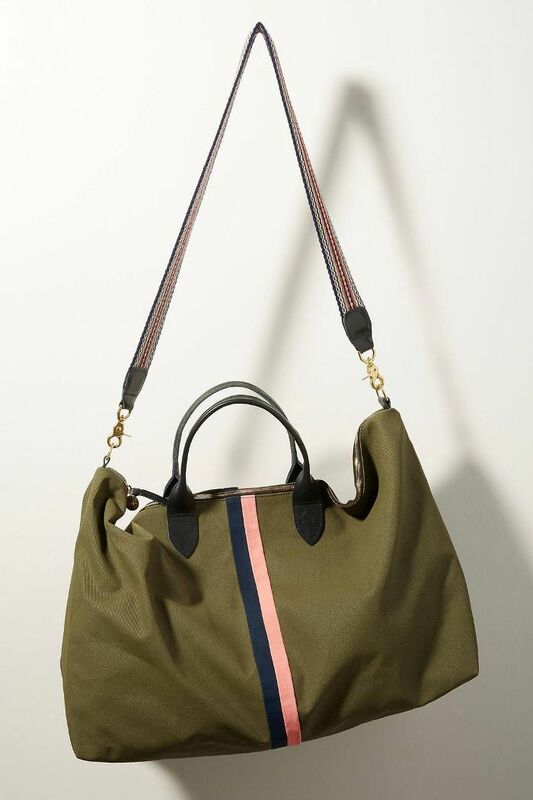 And speaking of budget-friendly duffels, this pick from Oflamn will help you put more cash toward souvenirs. 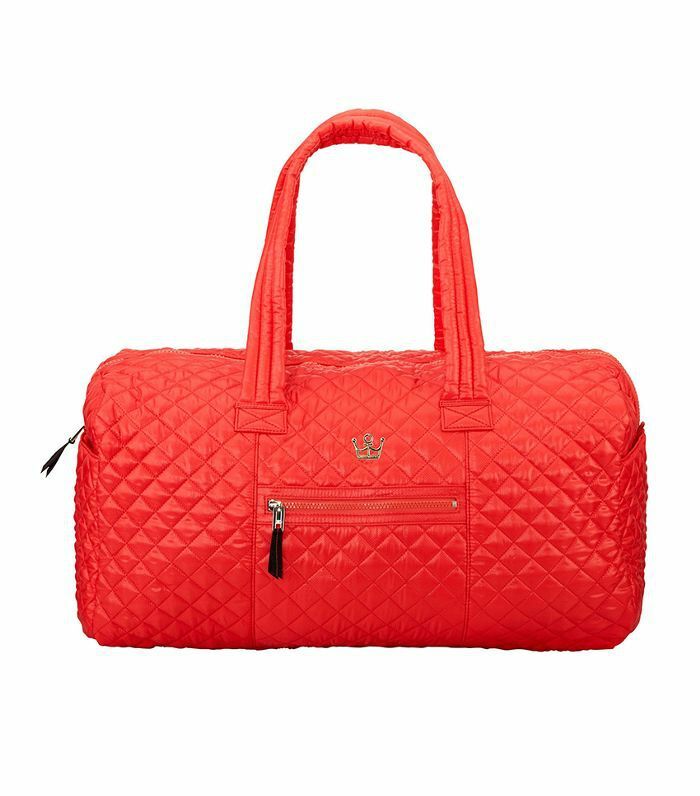 Although this shape comes in various colors, we can't resist the sweet pink-and-gray option. 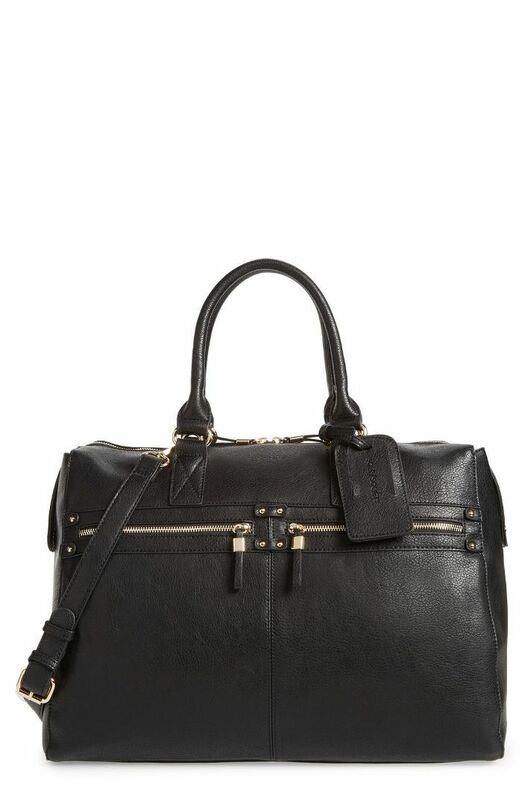 You'll want to show off this Vince Camuto leather and suede duffel for its style, but also for its convenience—it has a waterproof compartment for things like dirty shoes and damp swimsuits. 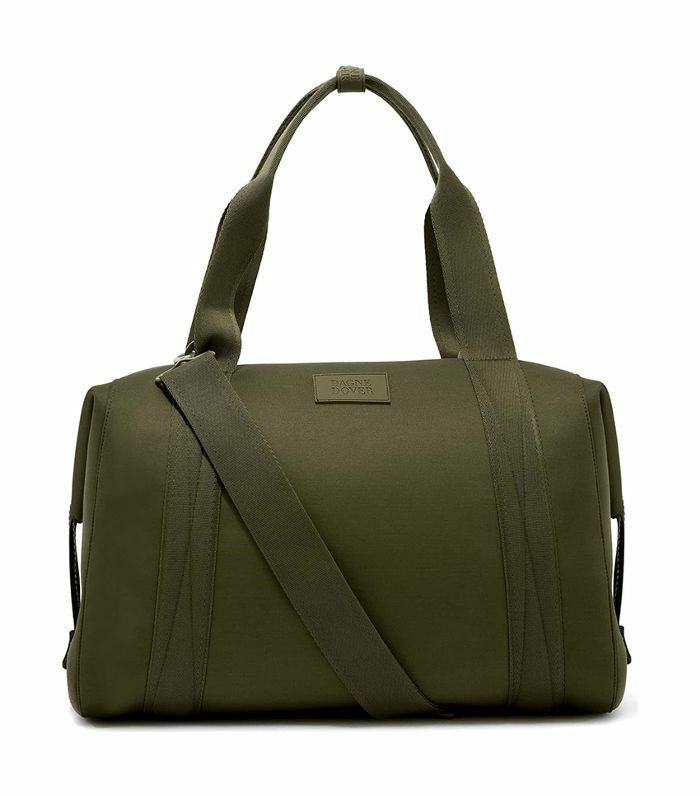 Not only does this Dagne Dover duffel come with a mesh pouch and a removable shoe bag, but it also features a 15-inch laptop sleeve. 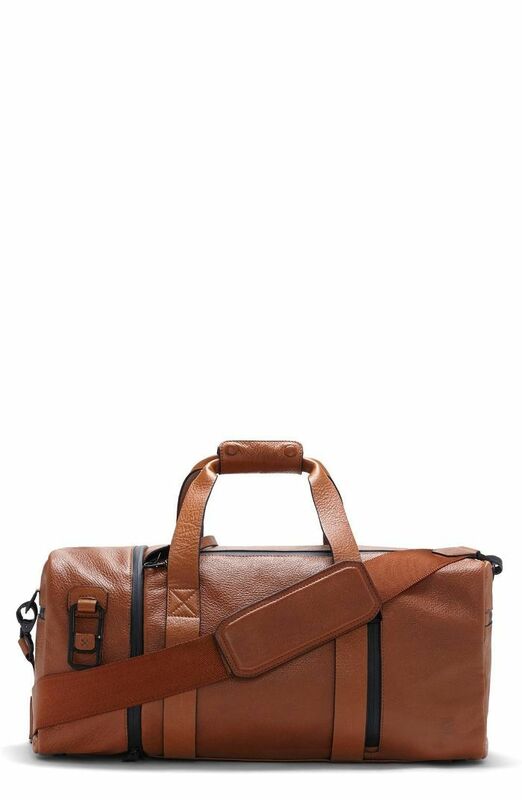 So if you're heading on a work trip, this is the perfect carry-on to take. 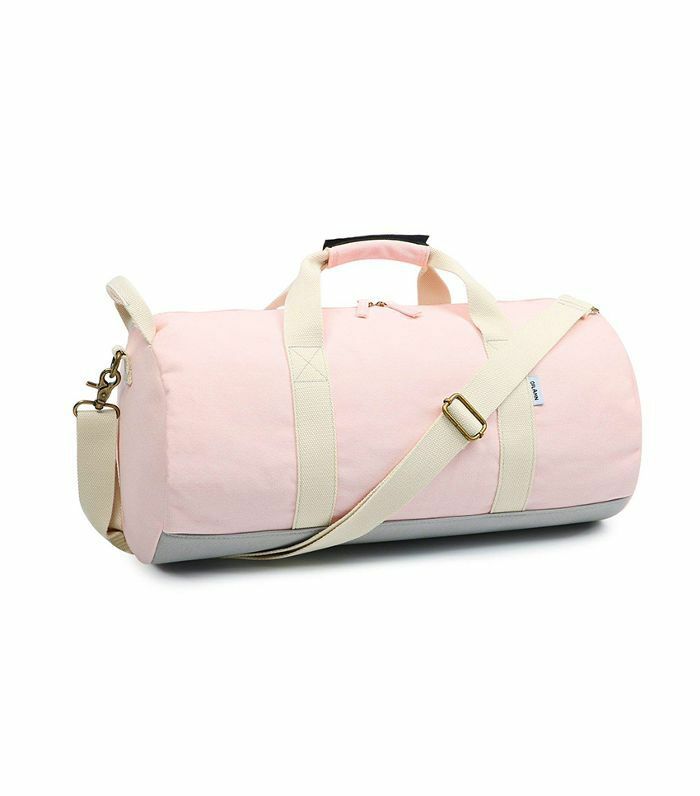 This Claire V. weekender showcases that classy yet playful aesthetic the brand is known for, and has enough space to make packing for a long weekend a breeze. Just try not to be able to fit everything in its 10-inch diameter.